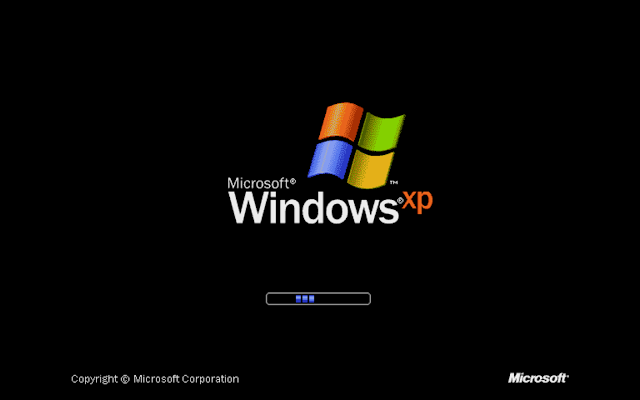 Is Windows XP in 2016 Obsolete? The last time I used Windows XP on my main computer was December 2010. Windows 7 had been out for about a year, and Vista had been out for 3. I was using an HP Pavilion Media Center M7560n. That machine ran Windows XP Media Center edition and was a rather high-spec machine for a budget desktop. It was donated last year to a local Goodwill, but if anyone was interested, here is the specifications of the PC I used for 5 years. 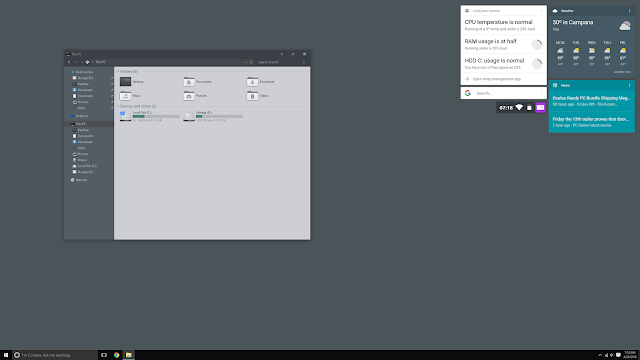 If you are like me and cannot stand the white title bars of Windows 10, than this tutorial will help you and your eyes. It takes 3 steps, and with a small bit of registry editing knowledge, it is quite simple. and set SpecialColor (by double clicking it) to 010101. Then, open the Settings app and find the newcolor as the last entry under personalization. My custom color was in the bottom right corner. and set ColorPrevalence to 1 and AccentColor to 010101. Right click, mouse over New, and click DWORD (32-bit). Name the new value AccentColorInactive and double click it, then type 444444 (or whichever color (in hex) you would like inactive title bars to be). Reboot! Everything should work immediately. Your eyes will be thanking you. In 2016, PC gaming is cheaper than ever, but the same could be said for consoles. Personally, I use a PC for day to day work and gaming, but I have a Wii U and PS4 in my home. With this comparison, I will try to be as unbiased as possible and state facts to not hurt my credibility. Both the PS4 and Xbox One are not underpowered or overpriced for what they do. Games preform better on a $300 console than a prebuilt $300 PC in almost every case, and the latest GPU may run the newest game in 2016 far better than a console, but in 5 years, the console will outperform the GPU on a game released in 2021. Because consoles must be supported for such a long time, optimization for them allows the significantly weaker GPU inside to run the game better than a GPU that technically outperforms it, which can hurt the longevity of a custom built PC. WhoApp is an application for iOS devices that has been publicized heavily recently, but there is more to the app than meets the eye. When you download it, the app will ask to access your contacts, information, and much more. Then, it will copy your data and release it onto the internet again for anyone else to see. What this includes: All of your phone contactsPhone numbersEmailsAddressesFacebook accountsWebsitesEmployer informationNotesLocation dataContact pictures To make matters worse, if you decline a call, it will be transferred to WhoApp, not your voicemail account. If you're on a phone plan that charges per-call, it calls you back after every single phone call. When you answer a call from the app, you are using your data plan, not your phone plan, which can quickly run you over your data limit. 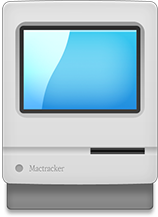 Mactracker provides detailed information on every Apple Macintosh, iPod, iPhone, and iPad ever made, including items such as processor speed, memory, graphic cards, supported OS versions, price, storage, and expansion options. Also included is information on early Apple systems, Newton, Apple TV, Apple Watch, Apple accessories, displays, printers, scanners, Wi-Fi products, and operating systems. In addition to listing technical specifications, Mactracker allows you to gauge the real-world performance with scores with Geekbench. Here are a few screenshots of the app on Mac, but it is available on MacOS and iOS. You can choose any major Apple product since the Apple I from this list. You get the current estimated value of the Mac you are looking at and can click the icon to hear the startup sound, along with many other details. You can see your current model, serial number, and type all from the models menu, and add more depending on the devices you own. As ransomware has spread rapidly with Windows computers in the past few years, decryption programs and databases are necessary to get a good grasp on the current situation. Theme: Ades Theme for Windows 10 TH2 - Icon Pack: Vertex - iPacks Install Themes on Windows 10 November Update/TH2/10586 Theme patching does not work out of the box for Windows 10 after the November Update/TH2/10586. You will need to modify some system files, so make a system backup before preceding if you want to reverse the effects completely. 1. Download the Theme Patcher zip from Google Drive then extract it. 2. Install UltraUXThemePatcher_3.0.4 from the extracted folder. It won’t work yet! 4. Open the Theme Patcher extracted folder in another window. Note: Use the File Patch x64 folder if you have a 64-bit computer, and the File Patch x32 folder if you have a 32-bit computer. Description: The Macintosh SE was released on March 2, 1987 by Apple. Its original price was $2,900 USD with dual 3.5-inch floppy drives or $3,900 USD with a single 3.5-inch floppy drive and a 20 MB SCSI hard drive. 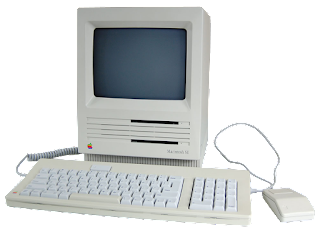 It was introduced as a replacement for the Macintosh Plus alongside the Macintosh II, and is visually similar to the original Macintosh 128K.